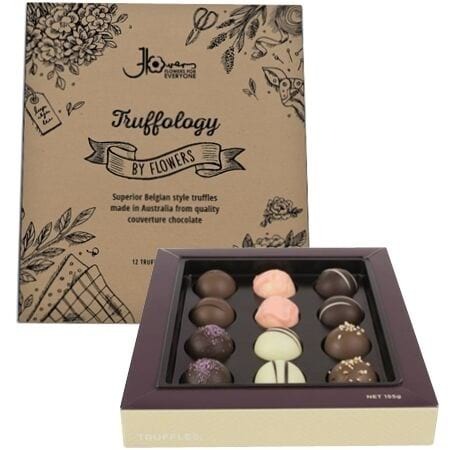 Our Trio of Treats Gift Hamper features three delectable treats to enjoy, including a bottle of Australian Chardonnay, a box of 12 assorted, Belgian-style chocolate truffles and a fresh white flower posy. 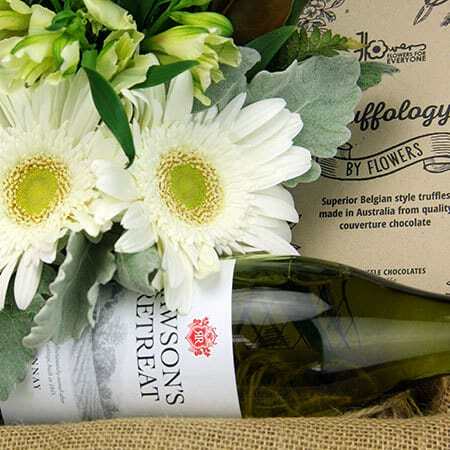 Our little bouquet features popular gerbera daisies, long lasting alstromeria lilies and pretty spray roses, offset with silvery Dusty Miller leaves. 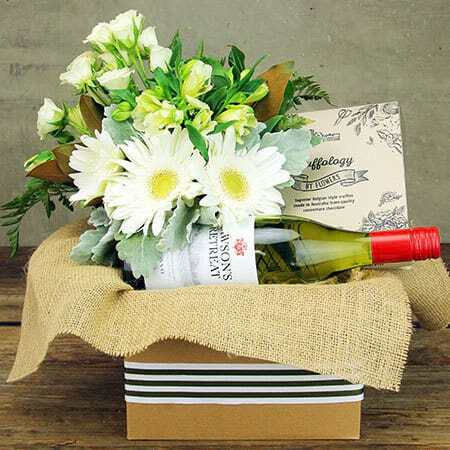 Presented in a natural cardboard box lined with hessian fabric, this classic gift hamper offers an affordable present and quality products.